Set 32 years before A New Hope, the Star Wars Prequel trilogy begins with The Phanton Menace. Jedi Knight Qui-Gon Jinn and his apprentice, a younger Obi-Wan Kenobi, are sent to Naboo to negotiate with the Federation and end a blockade of battleships around the planet Naboo. However, they soon must help the Queen Amidala of the Naboo to escape from the blockade and plead her planet’s future at the Republic Senate. En route their ship is damaged and they must land on Tatooine for repairs, where Qui-Gon meets nine-year-old Anakin Skywalker. Thinking that Anakin is the “Chosen One” Qui-Gon helps liberate the boy from slavery, but the Jedi Council are reluctant to allow his training as a Jedi Knight. A decade later, in Attack of the Clones, Anakin and Amidala fall in love and secretly marry. Eventually Padmé becomes pregnant, but Anakin is plagued by dreams of Padmé dying in childbirth, and Palpatine convinces him that the dark side of the Force holds the power to save her life. Desperate, Anakin submits to Palpatine’s Sith teachings and is renamed Darth Vader. 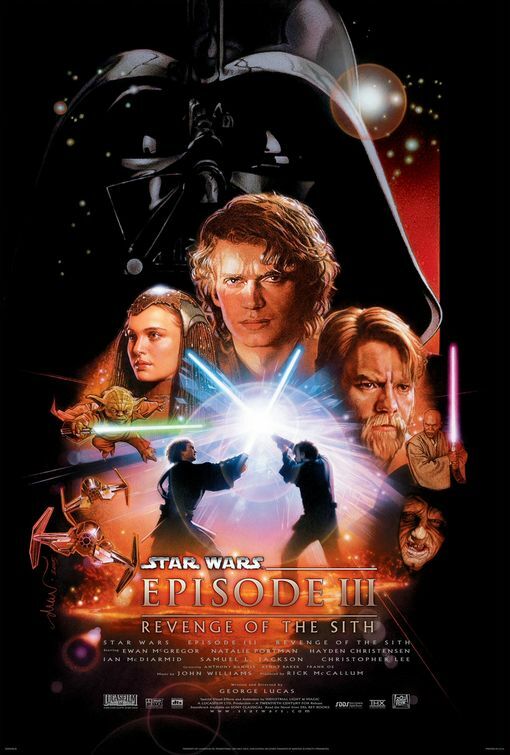 Revenge of the Sith completes the trilogy and while Palpatine turns the Republic from a peaceful union into the tyrannical Galactic Empire, Darth Vader looks to exterminate the Jedi Order, including his teacher, Obi-Wan. After an epic lightsaber battle Vader is left for dead on the shores of a volcano. However Palpatine has other plans and Vader’s new identity is revealed. At the same time, Padmé gives birth to twins. As the only remaining Jedi, Obi-Wan and Yoda agree to separate the twins and keep them hidden from the Empire. You can read our boxset review of the original Star Wars Trilogy here. 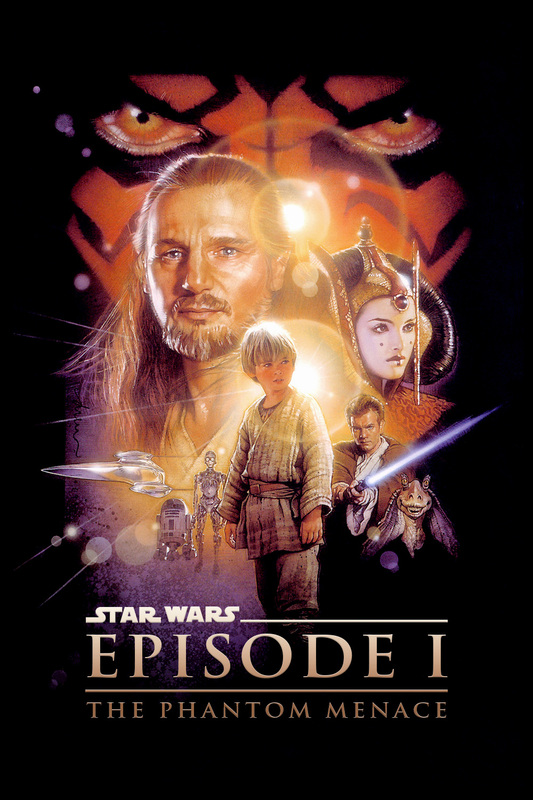 Set thirty-two years before the original film, TPM follows Jedi Master Qui-Gon Jinn and his apprentice Obi-Wan Kenobi as they protect Queen Amidala, in hopes of securing a peaceful end to a large-scale interplanetary trade dispute. Joined by Anakin Skywalker, a young slave with unusually strong natural powers of the Force, they simultaneously contend with the mysterious return of the Sith. OK it’s not great, I admit, but I still feel the first prequel has a bit to offer, if it’s the exciting pod race or climatic battle between Darth Maul and the Jedi. Shame about the annoying kid and Jar-Jar Binks. Unfairly scorned due to the impossible weight of following the original trilogy, TPM is a great film in its own right. Young Anakin is played brilliantly by Jake Lloyd and there are some fine actors in the supporting roles. Ewan McGregor’s attempt at an Alec Guiness impression aside, TPM is my favourite favourite of the prequels and my 3rd favourite of the first six films. I don’t even mind Jar Jar. As the first Star Wars film for over 15 years, Episode I was never likely to live up to the hype. The laboured plot and several annoying characters didn’t help, but the film still included some great action sequences and arguably the best lightsaber duel in the entire saga. It’s really not as bad as most people think! Obviously trading on the excitement of the fact it was a new Star Wars film, this could have been a dud, but I like it. It obviously has better special effects and it was a pretty good story in it’s own right. The cast was good and I liked the action too. It also has one of my favourite Star Wars characters in Darth Maul, and the worst in Jar Jar Binks! Not the best film in the series but by no means the worst. A good effort, but could have been better. Ten years after the events in The Phantom Menace, the galaxy is on the brink of civil war. 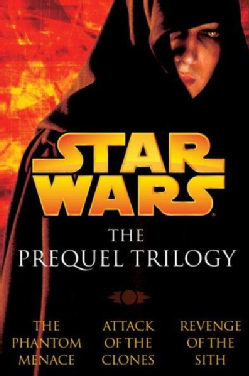 Led by a former Jedi named Count Dooku, thousands of planetary systems threaten to secede from the Galactic Republic. 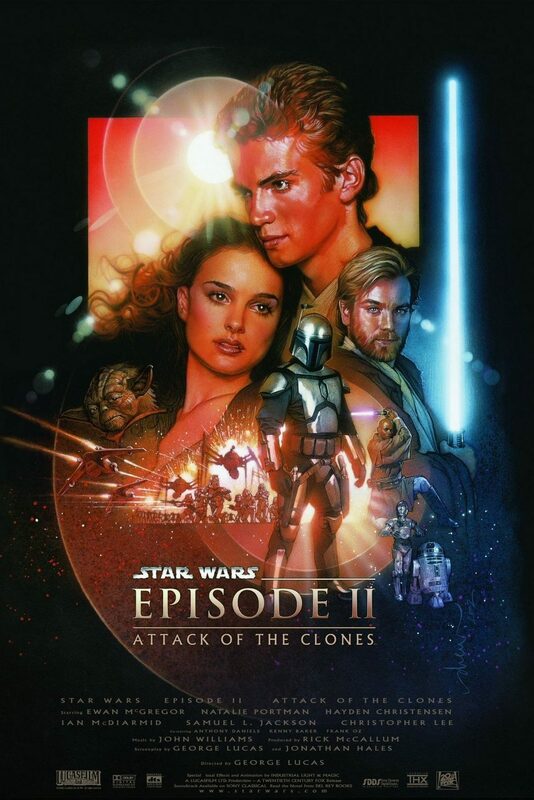 After Senator Amidala evades assassination, Jedi apprentice Anakin Skywalker becomes her protector, while his mentor Obi-Wan Kenobi investigates the attempt on Padmé’s life. Soon Anakin, Padmé, and Obi-Wan witness the onset of a new threat to the galaxy, the Clone Wars. Now deeply mired in boring political intrigue, Attack Of The Clones suffers terribly in comparison to The Phantom Menace, let alone the original trilogy. I honestly thought I was watching an Ikea informercial whenever Hayden Christensen was on screen. The worst of all the Star Wars films by a long way due to its inclusion of an awful love story and some dreadful set pieces. But on returning to the film this year I found it much less offensive than I had remembered. Lucas responded to criticism of the first prequel by incorporating all kinds of dreadful fan service in the second one. He also managed to cast one of the worst lead actors in the history of film in Hayden Christensen, and involve him in a love story that had absolutely no chemistry. A film with no redeeming qualities whatsoever. Well, what on earth happened here? After a pretty good reboot with The Phantom Menace, this is where the series nosedived into a bit of a convoluted mess. Technically it is competent but the story doesn’t really go anywhere and it seems to be a string of set pieces strung loosely together with some slow and uninteresting scenes. Hayden Christensen is dreadful as Anakin which doesn’t help proceedings. To be fair, after re-watching it again recently it wasn’t quite as bad as I remembered, but certainly the series low point. Three years after the onset of the Clone Wars, the Jedi Knights are spread across the galaxy leading a massive war against the Separatists. The Jedi Council dispatches Obi-Wan Kenobi to eliminate the notorious General Grievous. Meanwhile, Jedi Knight Anakin Skywalker grows close to Palpatine, the Supreme Chancellor of the Galactic Republic. Their deepening friendship threatens the Jedi Order, the Republic, and Anakin himself. Much improved over the previous two movies, and my favourite of the prequels. The only thing that lets it down is Hayden Christensen (again) and his slightly-too-fast descent into the Sith. Sith does much to redeem the trilogy after the disastrous Clones, but it is still burdened with the same millstones (namely Christensen and Lucas). The action is much better, but Lucas’ desire to add wacky characters like the asthmatic robot General Grievous create too much slapstick for my liking, regardless of how many lightsabers you throw into the mix. The prequel trilogy stumbles to a conclusion with more terrible acting and unnecessary CGI action sequences. Anakin’s turn to the dark side almost seems like an afterthought, but at least we finally get the pay off during the last half hour with the long-awaited climactic duel between him and Obi-Wan. Whether it was worth the pain we had to go through to get there is arguable. After the travesty of Episode 2, the only way was up, and Revenge of the Sith lifts itself and story back up to a somewhat even keel. Again, Christensen’s acting is dreadful but the story flows a lot better and is interesting and you can feel the evil rising as the film progresses. The set pieces are good and it all holds together pretty well, with good effects and some real excitement in the battles. Probably the best of the “New” trilogy, which is probably not a great endorsement, but I quite like this one. Doesn’t come close to matching the spectacle of the original trilogy due to some poor casting and a director who had lost his way (and by his own admission, his love for the saga). There are highs and lows in the trilogy, but Attack of the Clones will be long remembered as the worst Star Wars film and one that could easily have killed the franchise. You can also read our boxset review of the original Star Wars Trilogy here.